GRAY — When students return to Gray-New Gloucester Middle School this fall, they will be greeted by a new principal and vice principal. Rick Hogan, 49, has been hired as principal and Kristen Dacko, 31, will join him as assistant principal. Hogan, who lives in Brunswick, most recently was principal of Maranacook Middle School in Readfield. Earlier in his career, he was a science and math teacher at Greely Middle School and Falmouth Middle School, and was also an assistant principal at Falmouth Middle School. Hogan has a bachelor’s degree in secondary education and a master’s degree in science education, both from the University of Maine. He also has a certificate of advanced study in education leadership from the University of Southern Maine. He and his wife lived here for several years and were married at Spring Meadows Golf Course. They have two sons. “So when the opportunity came to move a little bit closer to home in a community that I was familiar with, and a school district that has a good reputation, I decided to take a shot,” he said in an interview Wednesday. Dacko, who lives in Bethel but is planning to relocate to Gray, has served as the dean of students at Telstar High School in Bethel for the last three years. Before that, she was a science teacher at Oxford Hills Middle School for seven years. She has a bachelor’s degree in secondary science education from the University of Maine at Farmington and a master’s in education from New England College. She grew up in Gorham and has a 1-year-old daughter. SAD 15 Superintendent of School Craig King said Hogan’s and Dacko’s experience with middle school education philosophy and middle school-aged students particularly helped them stand out in the hiring process. The positions, advertised statewide and nationally, drew about 25 and 30 candidates, respectively. The new administrators started in the district after July 4, and say they are looking forward to meeting more of the roughly 60 staff members at the school, which has over 600 students. “We’re looking to come in and observe, ask a lot of questions, get a feel for what’s going really well in the building right now, and the try to see what the course forward will be,” said Hogan. Hogan has a starting salary of $104,465 and Dacko’s is $89,825. Former middle school principal Sherry Levesque retired after a 38-year career, and former assistant principal Danny Blake has assumed is now principal at the James W. Russell Elementary School in Gray, King said. 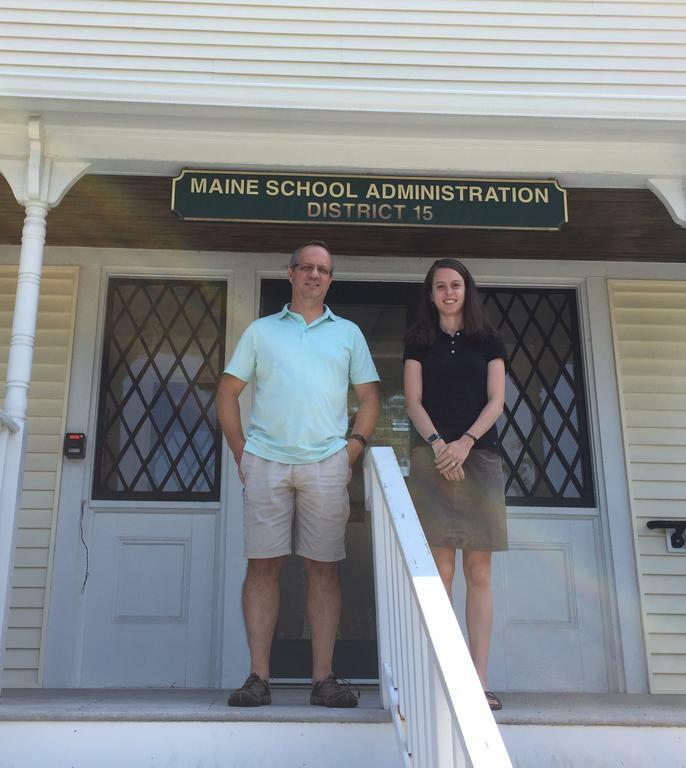 Rick Hogan is the new principal and Kristen Dacko the new assistant principal at Gray-New Gloucester Middle School.